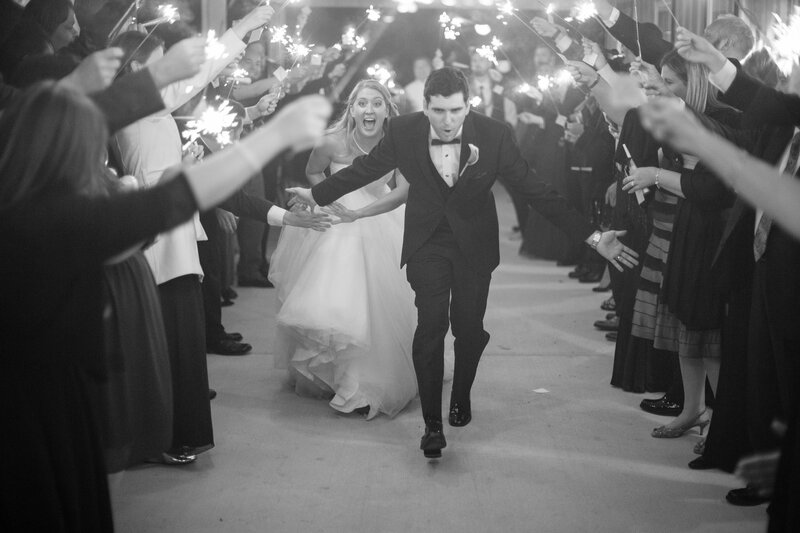 Laura was an absolutely fabulous wedding coordinator for our New Years Eve wedding!! We met her while touring our venue, and immediately knew she would be great to work with. We hired her as our ‘day-of wedding coordinator’ – which included a 30 day out meeting for the planning and coordination of the event, communication leading up to the wedding, running the rehearsal the day before, and her coordination on the day of the wedding! Laura was so easy to work with, very organized, super nice, smart, trustworthy, and really knows her stuff when it comes to weddings! She was able to take all the information I gave her (which was a TON), and turn it into the wedding of my dreams. She worked flawlessly with the other vendors to make sure everything went off without a hitch. I had some rather difficult requests for some of the timing and way things were presented, and she made it all happen. She was great about suggesting and giving guidance when I needed it, or if she knew something wasn’t going to work, which was really great and helpful! 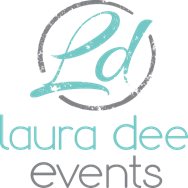 I would absolutely recommend Laura to anyone! She was well worth the investment – our wedding would not have been the same without her, and honestly, we could not have done it without her. She made it so I was able to enjoy my day as a bride (and everyone else involved was able to enjoy their role as well) – and that is priceless. As much as I love Laura’s work, I love Laura herself a hundred times more! She is the most delightful, fun, easy to work with and creative. Her events are nothing short of fabulous. She has an exceptional eye for design, along with a talent in coordinating the minute details in every event. It’s was a true pleasure to have her as my coordinator. It truly was a perfect day. Again, I appreciate you and the hard work you put into making Kellie’s day so incredible. Just perfect! I absolutely loved working with Laura. She listens to what you want then makes it happen. She is timely, frugal, and creative. She takes what you are thinking and makes it happen. My daughter is an only child and her wedding was one of the most important days of our lives. From start to finish it was the best wedding we could have ever hoped for. It truly was a perfect day. I was never the girl that planned my dream wedding, so I came to Laura with a blank slate. She helped me discover my style and what I wanted our special day to be like. The result was a beautiful, creative and tasteful ceremony and reception venue. Because of her expert planning and execution my husband and I were never stressed and were able to thoroughly enjoy our wedding day! We really appreciate all you did to help us with Kathleen and Lucas’s wedding. I’m not sure what we would have done without you…I would not have enjoyed myself nearly as much, and would have been running around like a chicken with my head cut off. I was so thankful to be able to just drop off a bunch of things at Shadow Creek and know that I would arrive the next day with it all looking great. I also really appreciated the little things, like telling me briefly before the ceremony that you saw the reception room looking good, and that the florist was doing his thing, so that I wasn’t wondering if everything was actually happening! You had such great ideas, and you were ready and willing to employ anything that would make things go smoothly and beautifully. Especially since this was our first wedding, and it was a bit large, we definitely needed some expertise from you regarding details, so thanks for giving advice where needed. We all really liked how you had such a sweet, but professional demeanor, and guided without being obtrusive. I know that is probably your goal, and I think you have achieved a very good balance! A couple of people have already asked for your name and info, and I definitely have recommended having you help them at their weddings. It was invaluable to Kathleen and me, so thanks again for making their day so special!